For the more experienced athlete or for those looking for a new challenge the 8km event starts at the boat ramp at Point Roadknight. A short run up the sand toward the point before circling back through the car park walking track and heading up along the Surf Coast Walk along the cliff top. A quick descent down to the surf club and onto the beach for another short beach run before joining the track along the river precinct and crossing the bridge over the iconic Great Ocean Road and looping around the Anglesea Caravan Park before rejoining the beach, then up the boat ramp at the end of main beach and picking up the Coastal Walk track once again. Due to a high tide this year runners will remain on the coastal track and will finish at the AMYC car park; back where they started. Runners should be aware that they may get wet feet crossing the Anglesea river mouth. A slightly easier option than the 8km run, but with no compromise on the beauty of the course. The 4km run starts at the boat ramp at Point Roadknight. A short run up the sand toward the point, before circling back through the car park walking track and heading up along the Surf Coast walk along the cliff top. A quick descent down past the surf club to the drink station and turn-around-point. Due to a high tide this year, it's then back along the coastal walk where runners will remain on the track and will finish at the AMYC car park. For those just starting out their running careers the Grommet Gallop is a short 1.6km run/walk especially designed for kids under 12. Beginning at the boat ramp at Point Roadknight, there is a short run up the sand toward the point, before looping back through the car park walking trail and heading up along the Surf Coast walk along the cliff top. You will turn around and return along the path back into the AMYC car park to the finish line. The course will be fully marshalled so that the juniors are never without supervision whilst on the course. However, for those younger runners/walkers that need a little extra confidence to participate, an older parent/relative/ guardian would be more than welcome to join the course. Drink stations will be dotted along all the courses and may be altered dependent on prevailing conditions. 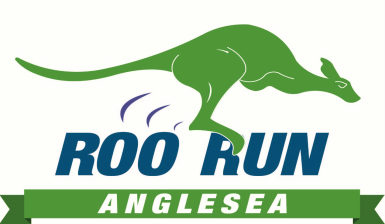 Medical treatment will be available at the conclusion of the run at the Anglesea Motor Yacht Club.